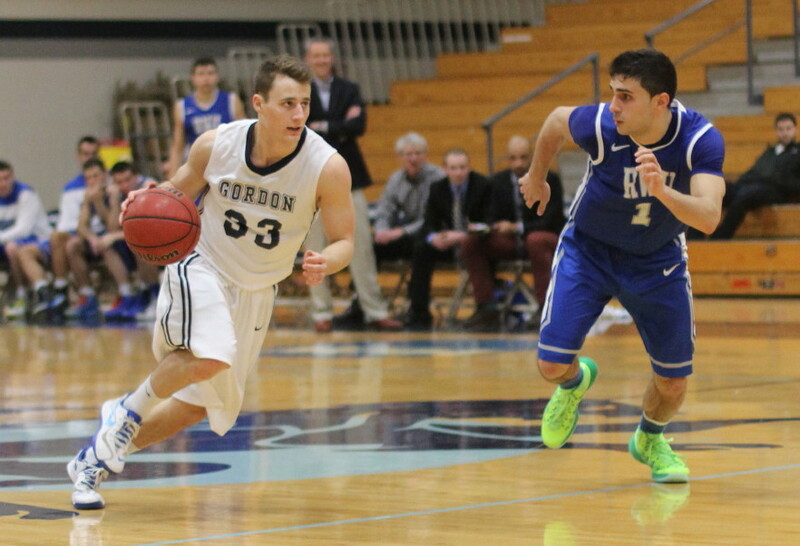 (Wenham MA) For the second Tuesday in a row, Gordon used a strong second half to dispatch Roger Williams. 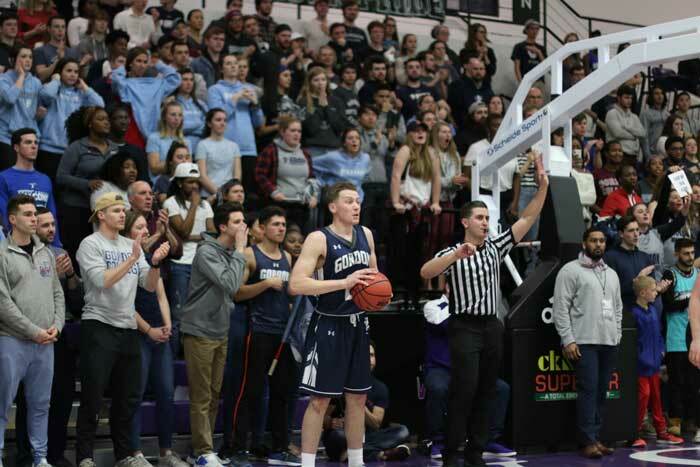 The stakes were much higher this time around as Gordon’s, 78-59, win over RWU gets the Scots to the Commonwealth Coast Conference tourney semi-finals on Thursday night (7PM) back at the Bennett Center. 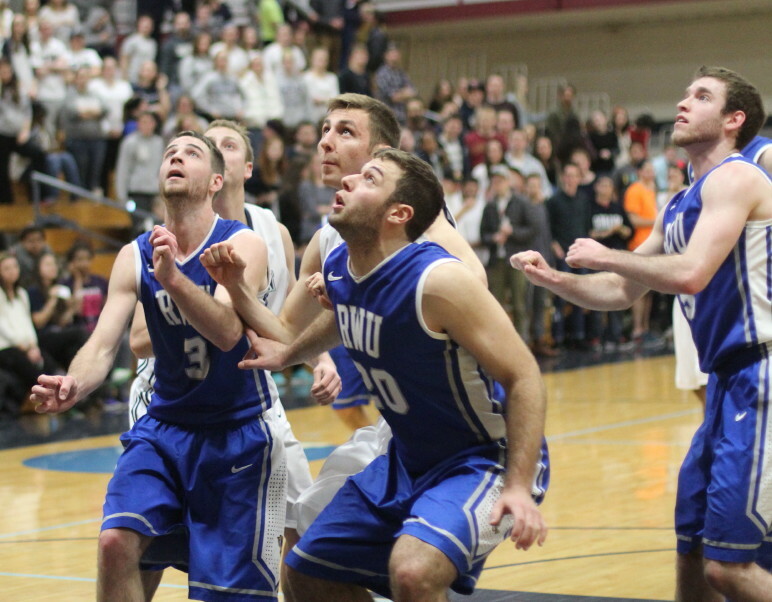 The surprise opponent on Thursday night will be #7 seed Wentworth. 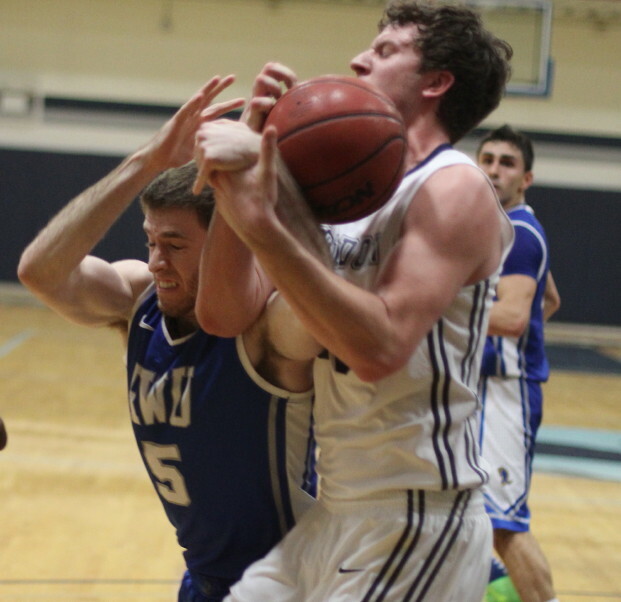 The 12-14 Leopards had lost three straight, been beaten twice by Eastern Nazarene, but still found a way to hush the Lions, 81-78, tonight. The #3 seeded Scots (15-10) would have been playing ENC in Quincy if the Leopards had lost but now Gordon gets a second home game in the CCC tournament. The undersized Hawks (10-16) lived from long range in the first half in this CCC quarterfinals matchup. Freshman Zac Campbell (he had 22 in RW’s win over GC on January 22nd) and Josh Syska were a nifty 6-for-6 from beyond the arc in the first half. The visitors only trailed, 36-32, at halftime. 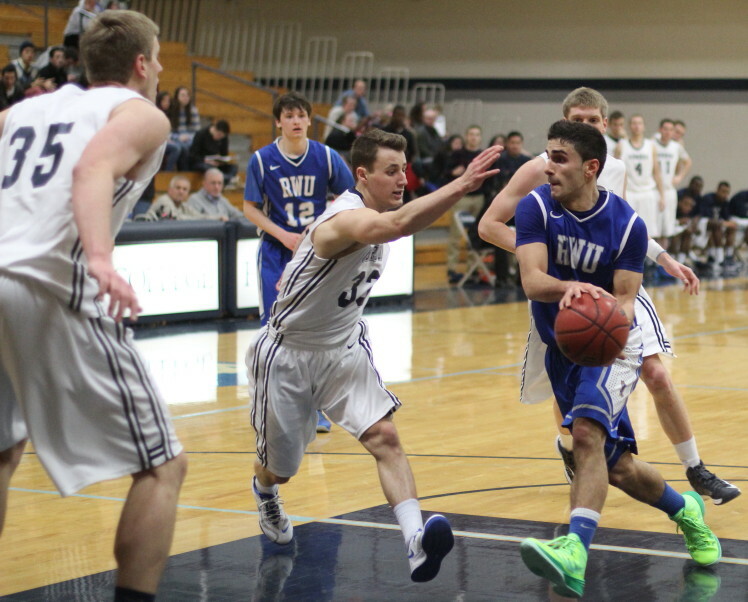 In the second half, however, the Hawks struggled mightily to get points. Meanwhile, Gordon found high percentage offense from many sources. The Scots shot a sizzling 65% in the second half. Gordon’s four-point halftime lead (36-32) had expanded to eleven (47-36) six-plus minutes into the second half. The game-deciding segment followed. The Scots ran nine straight to get up by twenty (56-36) with 11:57 left. The keys to this crucial run were a layup by Sam Johnson, jump shots by Alex Carnes and Sam, plus a Shaun Roach triple. 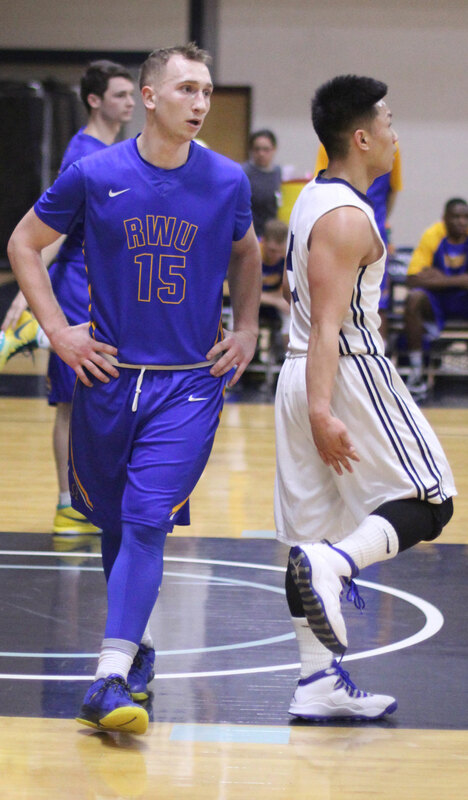 The best RWU could do the rest of the way was to get within twelve (70-58) with four minutes left. But the Gordon trio of high percentage shots, defense, and rebounding kept the Hawks from making a serious run at the lead. The most notable final stat was Gordon’s 41-19 rebounding edge. That “19” was a season-low for an opponent. 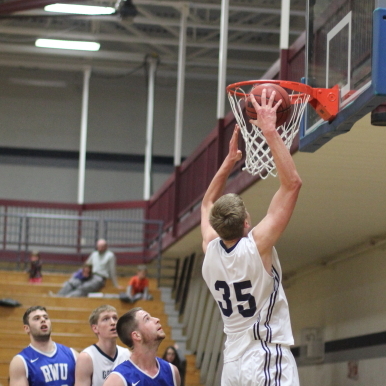 Jason Dempsey led the rebounding Scots with a career-high twelve rebounds. Again no Chris Bardwell for Roger Williams. The talented freshman has a concussion. He was in uniform but not allowed to participate. Hans Miersma had six points and two quick fouls in the first half and played only five minutes. In the second half, the first-team CCC selection stayed out of foul trouble and added ten points and two blocks. 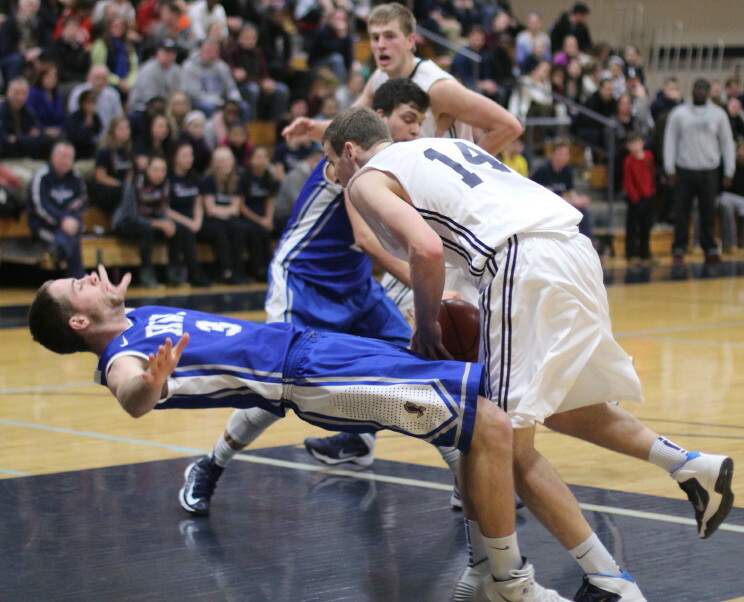 Hans was once again named the CCC’s Defensive Player of the Year. Park Thomas (11 points) had his best game stat-wise in the last three weeks. The key to his improved play, in my head, is the assists-to-turnovers number. 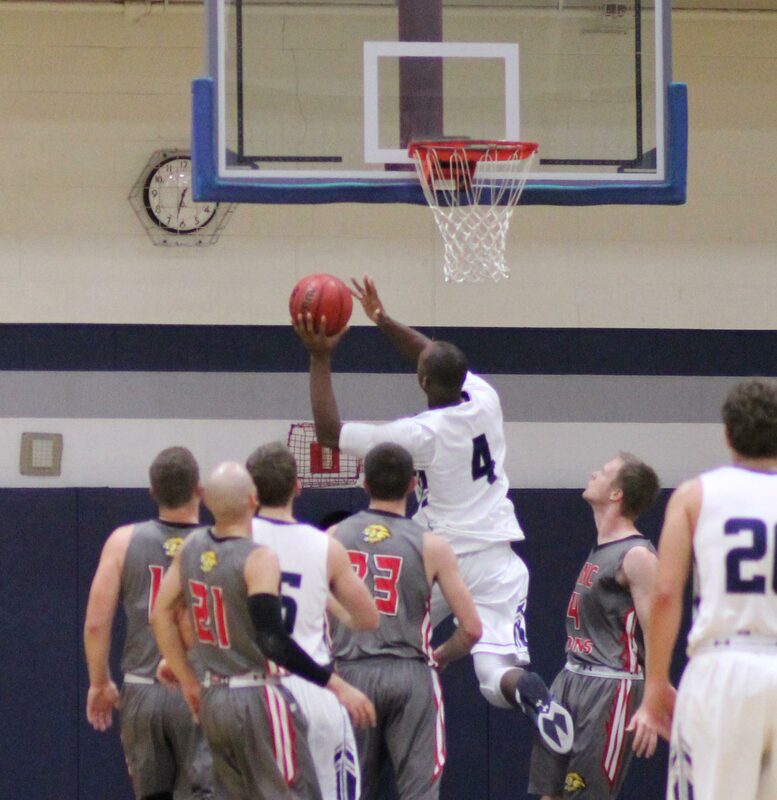 Over the last five games the CCC’s third teamer has 37 assists and only 13 turnovers. Taylor Bajema (10 points) did a nice job defending Hawks point guard Ryan Palumbo. The Scots were taller at every position and had shot-blocking Hans Miersma lurking in the lane. The Hawks were forced to score from long range and that only worked for them for one half. Josh Syska (formerly of St. John’s Prep in Danvers) was able to draw another offensive foul on Jason Dempsey. It looks as if some pretty serious embellishment was on display to me. 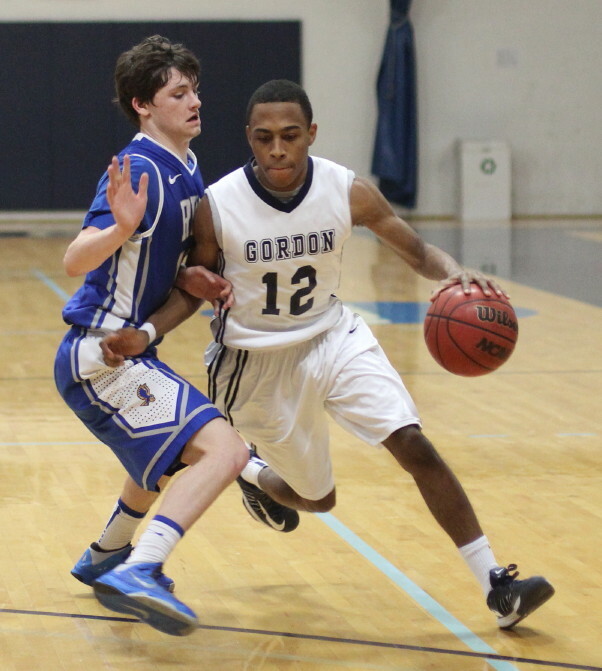 Sophomore Richie Armand gave GC coach Tod Murphy five assists with no turnovers. He also made his second three of the season. I got home in time to watch the end of the Endicott/Salve Regina game. With the score tied very late in the game, a Salve turnover is followed by a wide open three from the corner by Lachlan Magee with four seconds left. The Gulls’ shot misses and they are very slow to get back on defense. 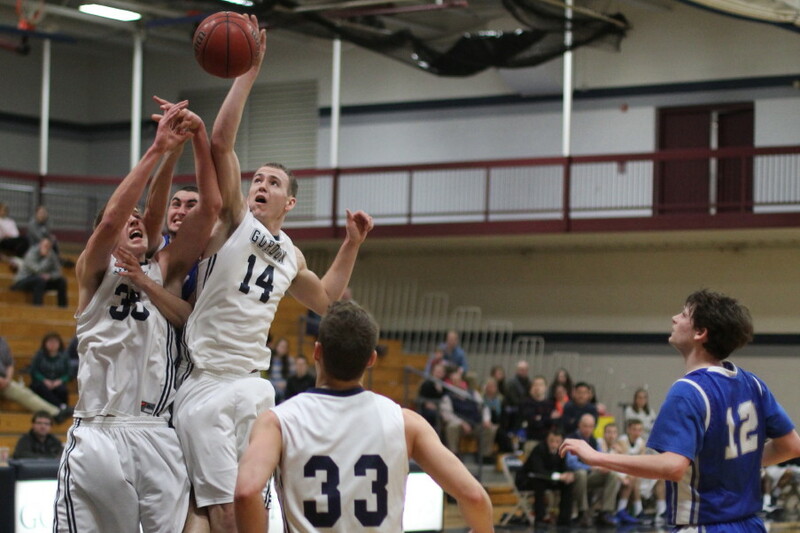 Salve breaks away 3-on-1 and gets a foul call at the buzzer. 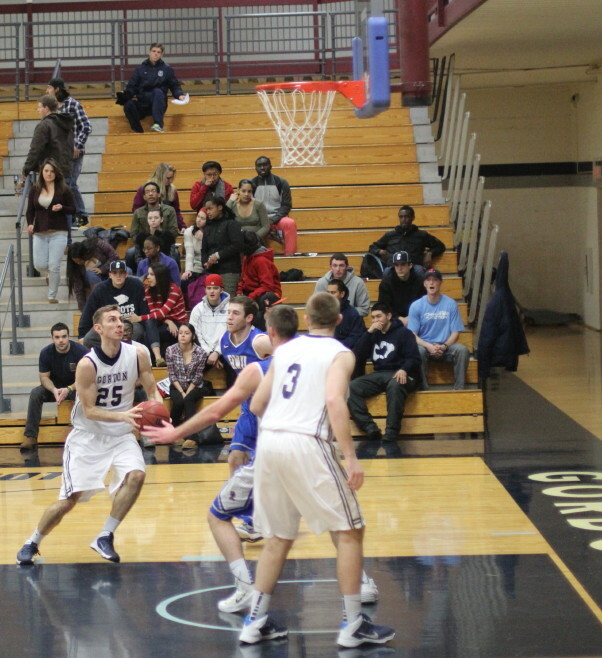 Scott St. Lawrence makes the second of two free throws to win the game. 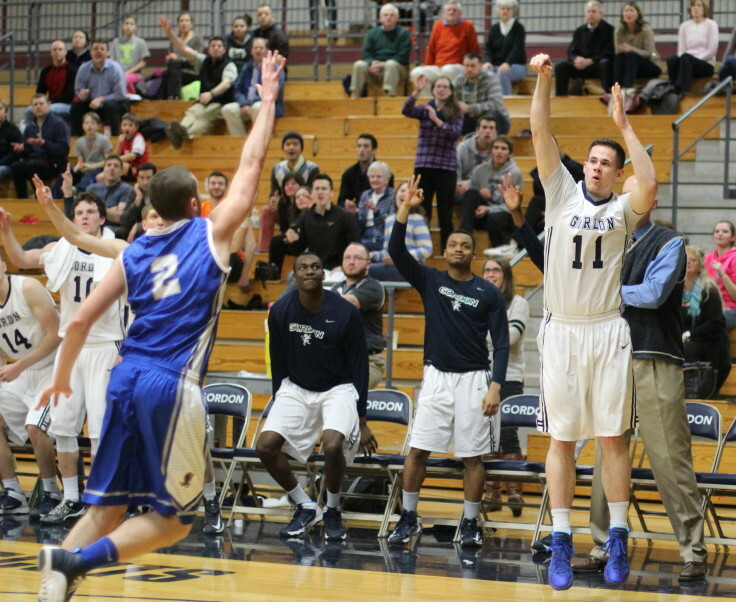 That free throw ends my hoped for scenario of Gordon/Endicott in the finals at the Bennett Center on Saturday. I am now willing to settle for Salve being with us at the Bennett Center on Saturday afternoon. We’ll see how things work out. 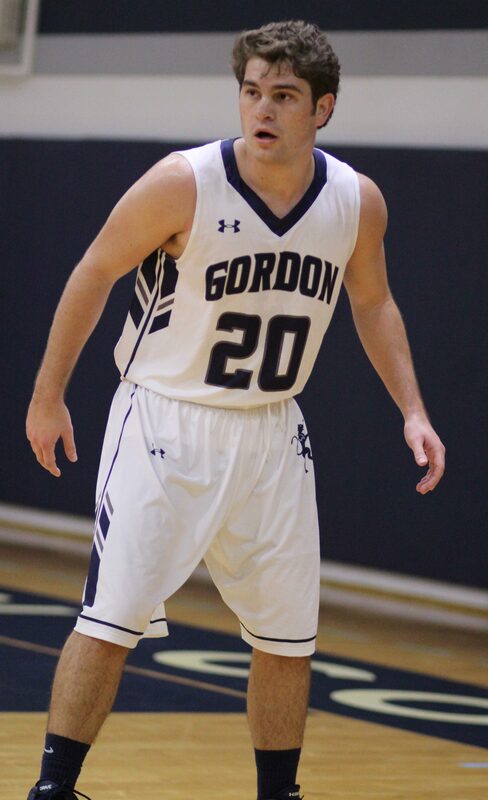 Alex Carnes made second team in the CCC. Ryan Palumbo was on the second team as well.